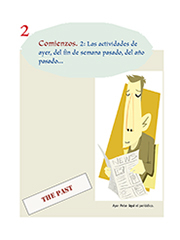 In Spanish 2 you will start talking, listening and reading about the past: yesterday, last week, last year... a long time ago. ask and answer questions about last week's activities. talk about some special events from the past. talk about the weather and discuss how it affects your free & working time.